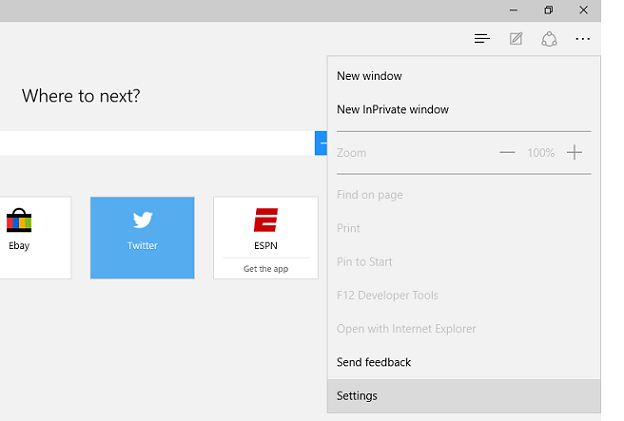 Click on "More actions" link in Microsoft Edge. This is link with three dots (...) at right side on menu bar. In "More actions" menu, Click on "Settings" to open Settings screen. 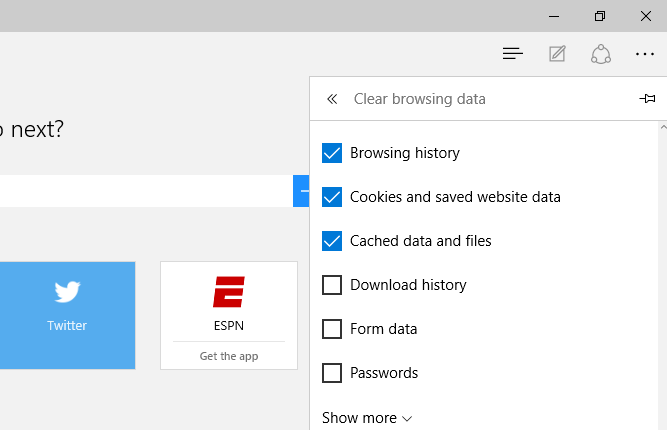 In "Settings" screen, click on "Choose what to clear" button under "Clear browsing data". 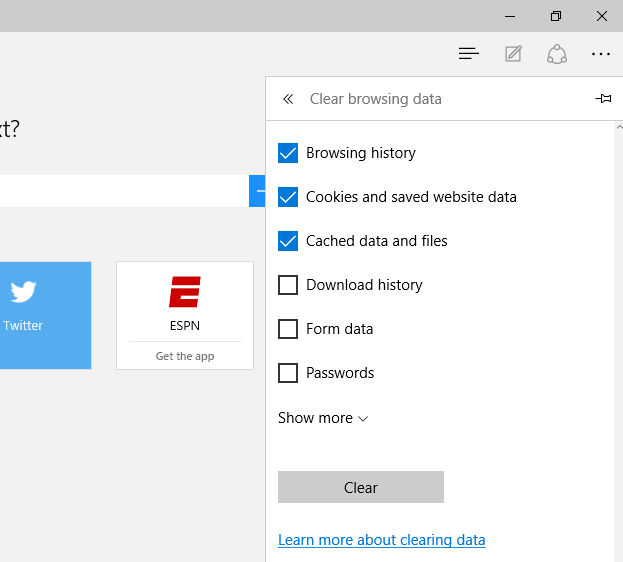 In "Clear browsing data" screen, select "Browsing history" checkbox and any other history items (like Cookies and saved website data, Cached data and files, Download history, Form data, Passwords etc..) that you want to clear. 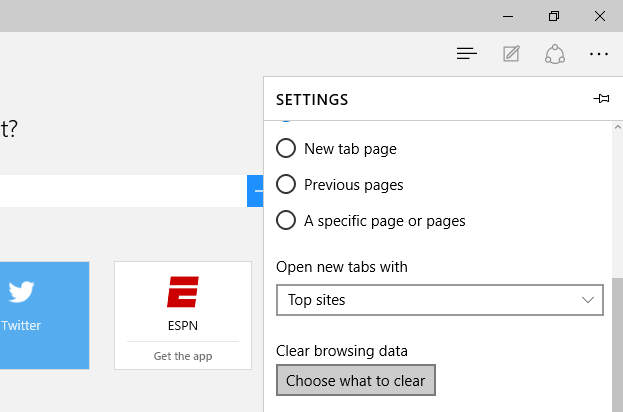 Click on "Clear" button to clear your selected browsing history data. You can also directly open "Clear browsing data" screen by pressing Ctrl + Shift + Del keys simltaneously, and click on Clear button to clear browsing history.